Dr. Jack graduated from New York Chiropractic College in 2018 and recently moved to the Niagara area to begin his professional career. He grew up in London Ontario where he received his undergraduate degree in Rehabilitation Sciences at Western University. 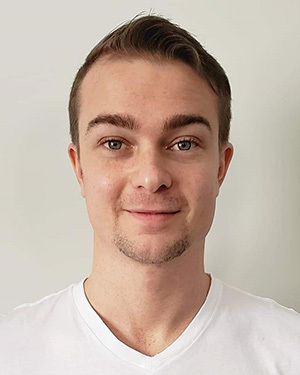 In order to further his education, he then went on to become a certified neurofunctional acupuncture provider through the McMaster University Neurofunctional program. Dr. Jack employs a contemporary blend of current, evidence-based treatment styles to improve functional performance and eliminate pain. He uses chiropractic adjustments, acupuncture and soft tissue techniques to achieve optimal results and keep his patients feeling their best. During his free time, Dr. Jack enjoys outdoor activities such as camping and spending time at the family cottage. Having spent most of his childhood and adolescence playing sports, he makes sure to stay active and always makes time to support his lifelong team; the Leafs.